EasyJet begun its Venice service today with a special member of crew. Gavin Shuker, Member of Parliament for Luton South joined the celebration as an honorary cabin crew member for the morning, to welcome passengers onboard the aircraft which was flanked by giant venetian masks in homage to the city’s famous ‘Carnivale’ and masquerade balls, to mark the occasion. easyJet Venice flights to one of the world’s most romantic cities, is easyJet’s fifth Italian destination from London Luton Airport along with Catania, Milan, Olbia and Pisa and launches just in time for Valentine’s Day. 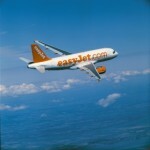 Over 1,000 passengers are flying easyJet to Italy from London Luton Airport in time for the celebration next week. 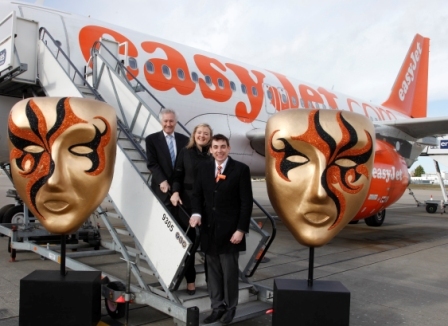 “It’s been great to join easyJet’s crew and passengers and celebrate the launch of the new Venice flights. easyJet and London Luton Airport are two of Luton and the region’s largest employers and it was fantastic to see this in action today. 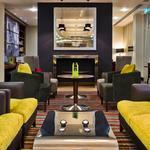 With fares from as little as £31.83* one way including taxes, over 50,000 passengers annually are expected to use the new services between London Luton and Venice which depart each Monday, Thursday, Friday and Sunday. *Price per person based on two people flying on the same booking.